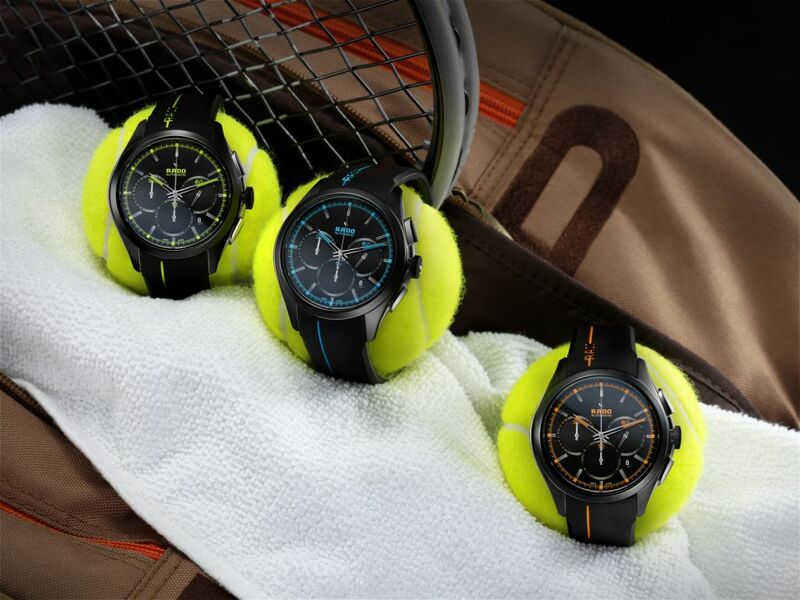 Swiss watch brand RADO unveils a new mini- collection of timepiece inspired from the different fixtures of Tennis Courts: Hard, grass and clay. Three new models each represent a different playing surface. The hard court is represented by the brilliant blue version, grass by gleaming green and clay by an audacious orange. The dial details and hands of each model contain Super-LumiNova® to glow in the dark. Each chronograph is dynamic, determined, powerful and made of scratch-resistant but lightweight black matt high-tech ceramic. Sandblasted to perfection for a winning look, matt black high-tech ceramic adds an extra step in the already complex procedure for producing high-tech ceramic watch cases.